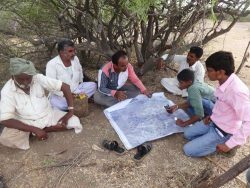 Sahjeevan facilitated to KUUMS for development of a participatory mapping of natural resources and present challenges faced by ecosystems. Besides pastoral communities of the respective landscape, the technical and social team of Sahjeevan have participated in natural resource and utilisation mapping exercises. Mapping is followed by ground-truthing at the sites. Mapped natural resources distribution and seasonal utilisation practices with existing biodiversity then presented to in Karobari/Gramsabha for common understanding and in case any gaps are identified in the Karobari/Gramsabha then it will be filled. 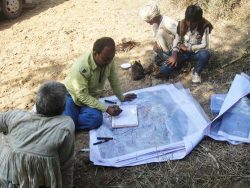 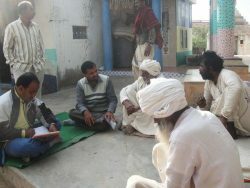 Based on participatory mapping exercises and identified challenges, Sahjeevan facilitated with PRI and KUUMS to develop their plan of action for the sustainable use of natural resources with protection of the ecological integrity of the landscape. 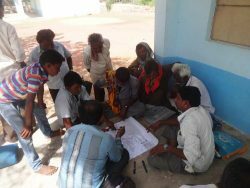 After preparation of action plan on natural resources conservation and development, KUUMS approached to various stakeholders to support their developed plan and implementation on natural resource restoration and conservation including grazing resources and waterscape. 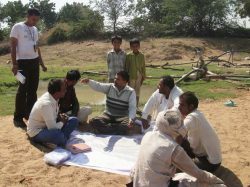 Following broader activities are carried-out with selected pastoral communities for landscape improvement: removal of Prosopis juliflora from sites without disturbing microhabitats of other wildlife species existing in and around the developing landscape and awareness towards its significant role to maintain forest food web.